Learn how to register a slide code by clicking here. Q. Why is my slide light flashing? A. The slide light will flash after 30 days to remind you to change the sensor slide. If you don’t change the slide after 30 days, it will stop recording pH and NH3. When you buy a new slide and put the activation number in it will start to log pH and NH3 again. Q. Do I need to calibrate? A. No. The system is designed to minimise drift over the one month period. This is achieved in part by special coatings on the sensors and a unique patent pending design. When you change the disposable slide, it is equivalent to doing a recalibration and you might, therefore, see a slight change in readings. Q. What happens if the slide dries out? A. We recommend that care is taken to keep the slide wet once it has been activated. If your slide does dry out completely it might give bad results and we would recommend fitting a new slide. Q. What happens if I touch the slide sensor pads? A. When the slides are dry they are very easily damaged by picking up grease from your fingers. The NH3 is the most likely to be damaged and it will turn grey and give false high readings. If you think you have damaged your slide through mishandling then simply fit a new slide. Q When I remove my device from the aquarium it shows a higher pH when dropped back in. Why? A. This is due to two reasons: the first is an adjustment of CO2 levels as it reaches an equilibrium with air not water (this happens fast). The second reason is as the slide starts to dry out (evaporation = only water), a change in the water chemistry will affect the pH. We would expect it to go back down a few hours after being introduced back into the aquarium. Q Where can I get seneye+? A. 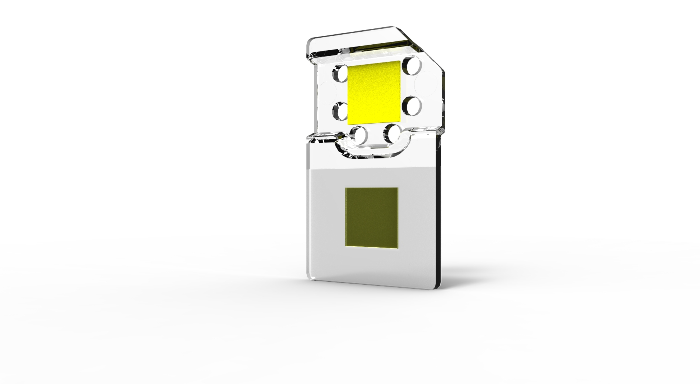 You can find out more information about the seneye+, including the replacement slides, from the webpage here: seneye+. Q How do I install/replace the slide? A. Installing the slide in the seneye device is extremely easy and removes the need to calibrate the device so you always have accurate readings. A guide to replacing the slide can be found here.